Barkot is situated at an elevation of 1,220mts above sea level in Uttarkashi district of Uttarakhand state. 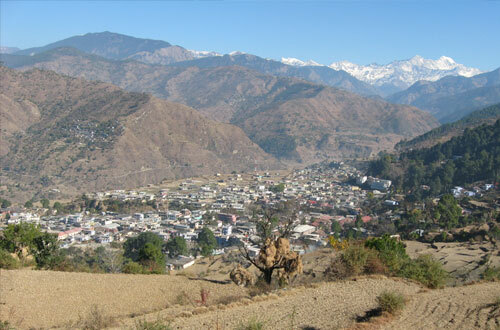 Barkot is a popular destination of northeast region of Uttarakhand state. Barkot is located 49kms from the sacred Yamunotri Dham. 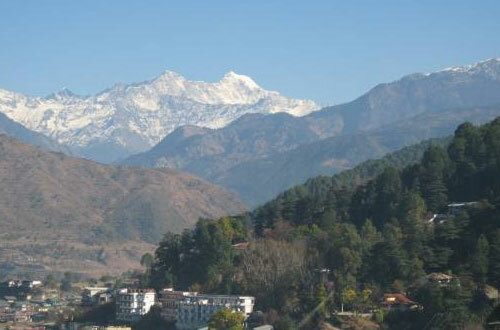 The magnificent Banderpoonch peak and other massive peaks of the Himalayan range are distinctly visible from Barkot. 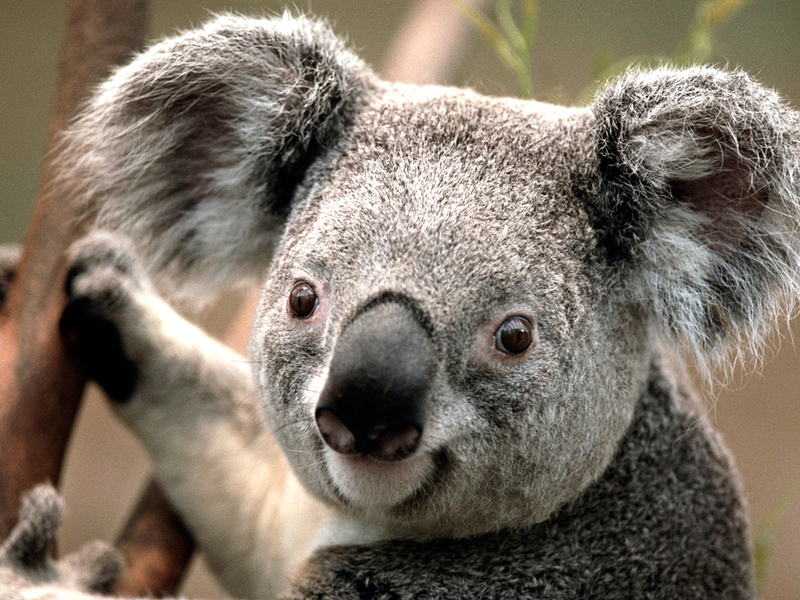 It is an ideal holidaying and adventure destination as the place offers many trekking excursions. The ravishing landscapes, gushing water of the sacred Yamuna River and apple orchards will make you fall in love with this place. Barkot is well equipped with all modern facilities and you can enjoy a comfortable and healthy stay at this place. A large number of devotees stays at Barkot while their visit to Yamunotri Dham. Barkot is situated 395kms from Delhi which can be covered in 13hours of time. Barkot is visited by nature lovers and adventurers throughout the year. From April to November the place is visited by millions of tourists as the sacred Yamunotri Dham is very nearby to this place. 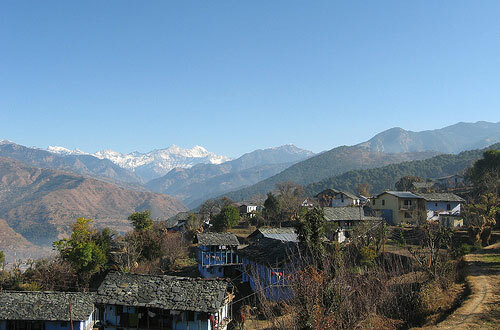 Snowfall during winters changes this picturesque hamlet to a heavenly paradise. Try to avoid monsoons as you might encounter blockage of roads due to landslides. Yamunotri Temple: Yamunotri is one of the Char Dham and is also the first place to visit in the Char Dham Circuit. Thousands of tourist visit to Yamunotri temple of Goddess Yamuna from April to October. Yamunotri Temple was constructed by Maharaja Pratap Shah of Tehri Garhwal. The temple holds great significance amongst the Hindus as the places is source of the Yamuna River which is one of the major rivers of India. This sacred temple is located at 3,235mts above sea level and it could be reached by an easy trek of 13kms. Barkot is situated 49kms before Yamunotri. Surya Kund: There are many natural thermal springs in Yamunotri of which Surya Kund is renowned. The water of Surya Kund has a surprising temperature of 1900F. Pilgrims tie potatoes and rice to cook it by immersing it under water of Surya Kund. After cooking it is served as ‘prasad’. Hanuman Chatti: It is the commencement point of the trek to two popular destinations Yamunotri and Dodi Tal. Yamunotri is situated 13km from Hanuman Chatti which has to be covered by foot or on ponies. Jeeps are also available upto Janki Chatti which is 6km from Hanuman Chatti. Hanuman Chatti is the confluence of Hanuman Ganga and Yamuna River. You can purchase food items and raincoats from Hanuman Chatti. 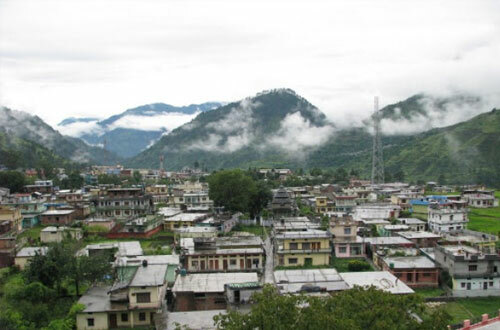 Uttarkashi: It is perched at an elevation of 1,352mts above sea level at a distance of 78kms from Hanuman Chatti. 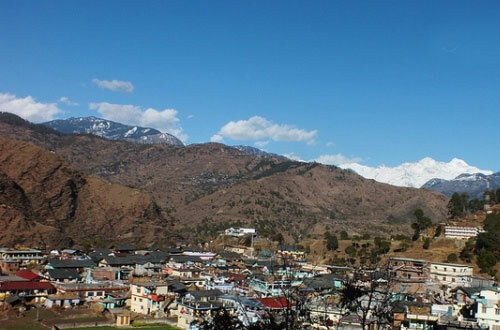 Uttarkashi is a picturesque spot well connected by motorable roads with major destinations of Uttarakhand state. It is situated on the banks of the holy Bhagirathi River. 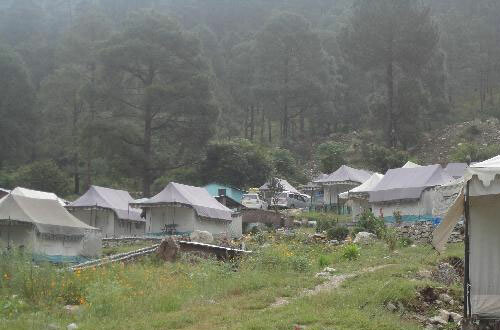 Uttarkashi houses one of the reputed mountaineering institutes of India i.e. Nehru Institute of Mountaineering. Mussoorie: Mussoorie is a hill station which needs no introduction as it is one of the most frequently visited hill station of India. Mussoorie is visited by lakhs of tourists throughout the year. Mussoorie is set in the foothills of Himalayas in the Dehradun district of Garhwal region in Uttarakhand state. Mussoorie is situated 103km from Barkot and is set at an elevation of 2005mts above sea level. The place is situated amidst green hills and is rich in varied flora and fauna that’s why Mussoorie is also known as ‘queen of the hills’. Kempty Falls, the mall road, Bhatta falls, Gunhill and Lal Tibba are some of the popular places nearby Mussoorie. Har ki Doon: Har ki Doon is a cradle shaped valley situated on the south east of Jaundhar glacier set at an astounding height of 3566mts above sea level. 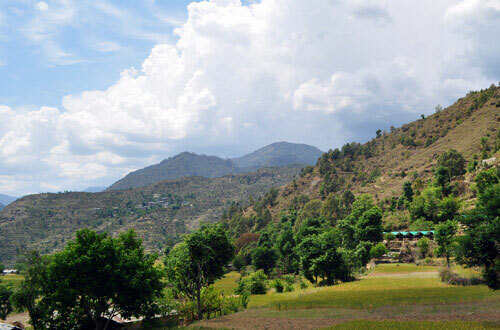 Har ki doon trek is a paradise for trekkers who are in love with nature and appreciate his creation. 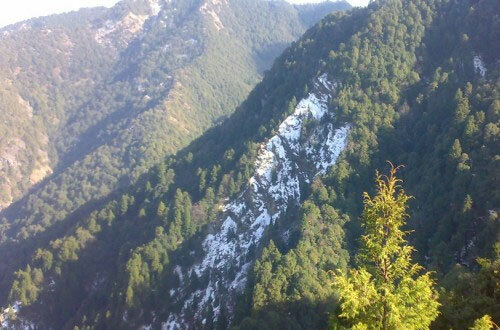 Har Ki Doon can be reached by three day 34kms trek from Sankri. Chakrata: Chakrata is perched at an elevation of 2270mts above sea level in the Dehradun district of Uttarakhand state. 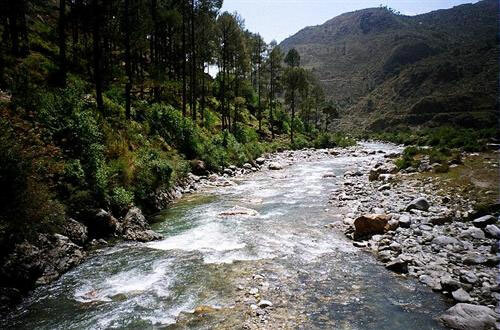 Chakrata is a cantonment area situated between Yamuna and Tons river amidst coniferous, rhododendron and oak trees. Chakrata is a place blessed with natural beauty and panoramic views as to the east of it lies the famous Mussoorie and on the west lies Kinnaur. Chakrata is an ideal spot for nature lovers, bird watchers, adventure lovers and wild lifers as the place is more than capable of satisfying their needs. Chakrata is situated 85kms from Barkot. By Road: Barkot is well connected with motorable roads from major destinations of Garhwal region like Tehri, Dehradun, Uttarkashi and Rishikesh etc. Barkot is well accessible with major districts of Uttarakhand like Uttarkashi, Tehri Garhwal, Pauri Garhwl and Dehradun. Barkot is situated 395kms from Delhi which can be covered in 11-12 hours drive. 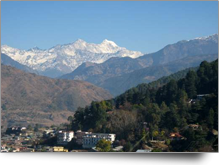 Taxis and buses are easily available to Barkot from Mussoorie, Uttarkashi, Rishikesh and Tehri. By Air: Jolly Grant is the nearest airport to Barkot situated at a distance of 161kms in Dehradun district. Barkot is well connected by motorable roads with Jolly Grant Airport. Taxis are available from Jolly Grant airport to Barkot. By Rail: The nearest railheads to Barkot are Rishikesh and Dehradun. Dehradun is situated 132kms and Rishikesh is located 160kms from Barkot. Buses and Taxis are easily available from major destinations of Uttarakhand state like Rishikesh, Mussoorie, Dehradun, Uttarkashi, Tehri, etc.